Added 4 years, 4 months ago. The BBC Sports Personality of the Year shortlist has been announced. The event is in its 61st year and will take place on Sunday 14 December, at the SSE Hydro in Glasgow. This is the sports event everyone strives to win. Previous Sports Personality of the Year winners are: Andy Murray, Dame Kelly Holmes, Andrew Flintoff, Ryan Giggs and Sir Bradley Wiggins. Why not organise a sports personality awards event for your club or society...? CSK have the ideal corporate award presentation trophies, unique and ideal for your event! Golfer Rory McIlroy, footballer Gareth Bale, gymnast Max Whitlock, F1's Lewis Hamilton and swimmer Adam Peaty, Lizzy Yarnold (skeleton), boxer Carl Froch, Charlotte Dujardin (dressage), athlete Jo Pavey, plus Paralympic skier Kelly Gallagher and guide Charlotte Evans are all nominated. 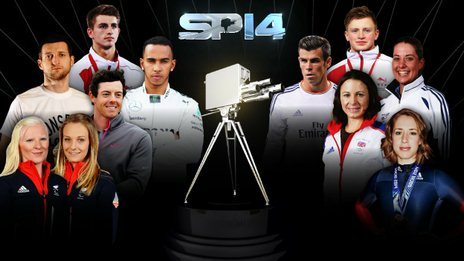 Ten contenders are named on the shortlist for the 2014 BBC Sports Personality of the Year award on 14 December. Gary Lineker, Clare Balding and Gabby Logan will host this year’s prestigious Sports Personality of the Year event. It will be broadcast live on BBC One and BBC One HD. You can cast your vote by phone or for free online. Voting will open during the show, broadcast on BBC One, 5 live and on the BBC Sport Website, on Sunday 14 December. Details of the phone numbers will be released during the show. To vote online for free you'll need a BBC ID, if you haven't done so already you can register by selecting this link. Buy today for your sports personality or fund raising event, and take advantage of our FREE ENGRAVING service.